Home > Property Management > Current Fineholm Landlords > Non resident landlord? 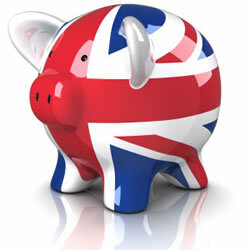 Are you a non UK resident for tax purposes? Are you a landlord who is based out with the uk for more than 6 months of the year? If the answer is yes then you are classed as a non UK resident for tax purposes and as such, the legislation around rent collection by an agent is different for you. If you are a non UK resident then By law we must deduct tax at source. In practise this means that when we collect your rent we have to take your rental income, deduct any tax deductible expenses ( for example, our fees, any maintenance expenses or factor fees) and pass over 20% of the net income to the tax office. This is done on a quarterly basis. Should you prefer to deal with your own tax affairs then you should complete a form ( NRL1) provided by the tax office (downloadable here) which once sent to the tax office will provide you with an approval number. Once we have details of your approval number we can pass over the full rental income and you will complete your tax return yourself as normal. We will issue you with an annual income and expenditure report to allow you to complete your tax return easily! Remember you have a 10% wear and tear allowance per annum too! If you have any tax queries please contact us resident tax experts Ellen Hamilton or Margaret coulter.